Our Distance Learning program is cutting edge in reaching students across the nation. In 2007, the Tubman African American Museum began noticing a decline in the number of schools and community groups booking tours. When the recession hit and school budgets were cut even further, many schools and systems responded by reducing or eliminating both arts education and field trips. For economically disadvantaged students, school and field trips to museums are often the only way they are likely to be exposed to art education. According to the Bibb County Board of Education, over 75% of the public school students fall into a low income category. 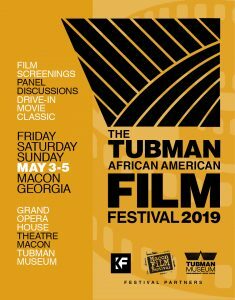 The Tubman saw this trend not only as a challenge, but also as an opportunity to provide new ways of bringing the arts and African American history to the schools and making a strong impact on the lives of these children. Numerous studies have confirmed that arts education and exposure to the arts allows children to express themselves creatively, increases their self-confidence, and improves overall academic excellence. The need was clear, but the trick was how to get this instruction and these resources to the schools and the students that needed them. “The students began to really miss the creative aspect of art in the curriculum. These hands-on projects make a huge difference with their excitement and keeping their attention,” said Jas’min Coates, an educator at Burdell-Hunt. The Tubman Museum decided to create a new Art and History Outreach program that could send Outreach Teachers and traveling exhibits directly to the schools. Many of the Outreach teachers that the Tubman hired were specialist in their field, as well as educators. The biggest challenge the museum faced was how to keep up with the demand. Geography and time restricted the distance that Outreach Teachers could travel and the number of schools they could visit. Through generous funding from the Institute of Museum and Library Services (IMLS,) AT&T, the Boeing Company, and the James Hyde Porter Charitable Trust, the Tubman Museum was able to create a multimedia, digitally advanced technology classroom. In April of 2009, this high-tech classroom was wired and ready to serve schools, community groups, and businesses. The Tubman has moved into the next phase of distance learning, one that will give the museum a national reach. 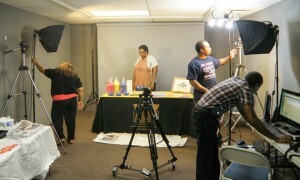 The idea is to take the Outreach teachers and digitally film, edit and archive to the Tubman Museum website. These presentations will be accessible through the internet for teachers in grades K-12 in public, private and homeschool settings across the nation. 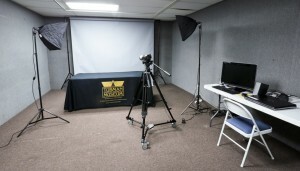 In the final phase, the museum plans to develop the capability of the Distance Learning program to provide live, interactive presentations to these classrooms and create grade specific curriculum materials to meet Georgia Performance Standards. The goal is three-fold: expose students to the arts and African American history and culture; Provide educators with tools to meet the Georgia Performance Standards; promote cultural awareness, diversity, and tolerance. What the Tubman expects is simple – Academic excellence, especially for rural and low income students. The African American History and Culture grant that the Tubman Museum first received from IMLS in 2007 and the outside funding it helped generate, enabled the museum to create, staff and equip an Outreach program that is currently sending traveling exhibits and Outreach teachers to classrooms and after-school programs all over Central Georgia. The second grant from IMLS to create an innovative Distance Learning broad program via the internet will spread the impact and reach of the programs even further, but is has presented many new challenges. The cost as well as the ever changing landscape in technology has required the Tubman to seek external resources. The goal is to finalize twelve programs, which means lesson plans need to be developed that will meet the Georgia Performance standards. Laura Bell, a Bibb County educator, is working closely with James Caldwell, another Bibb County educator, to make this happen. The Tubman Museum has withstood many challenges and has risen to the occasion each time. From securing the funding for a new facility, to creating opportunities to help teachers do a better job, the museum staff is making sure the arts, our rich heritage, and Macon’s incredible talent and resources are utilized.